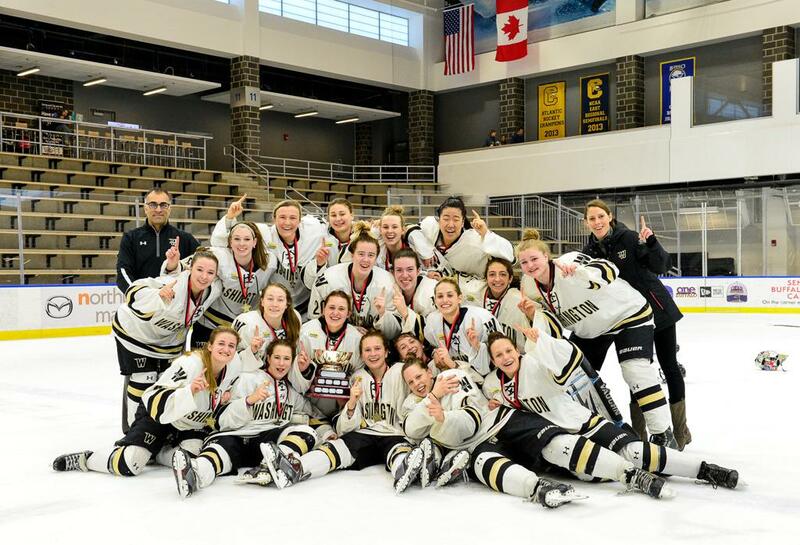 BUFFALO, NY The 8th ranked Washington Pride (Washington, DC USA) defeated the 3rd ranked Edge School Mountaineers (Calgary, AB Canada) 1-0 to win the 2015-2016 Junior Women's Hockey League Championship yesterday at The HarborCenter in Buffalo, NY. After 3 scoreless periods with The Edge leading in shots 20-19, the two teams went into a 5 minute 3v3 sudden death Overtime period, which, despite numerous scoring chances for both teams, did not result in a goal. Moving on to a 3 round shootout, there were no goals scored by either team in the first two rounds until Pride Captain Madison Farrand (Potomac, MD) scored on her shootout attempt on Edge goaltender Kirsten Chamberlin (Cochrane, BC) in Round 3. Edge forward Jane Jacobs (Carseland, AB) then took her teams 3rd shot but was stopped by Pride goalie Gianna Meloni (Washington, DC) to give Washington their first JWHL Championship. The JWHL Playoffs saw 3 upsets in the 5 game Preliminary round which allowed 3 lower seeded teams to move up in the Quarterfinal seeding. In the Quarterfinals, Canadian powerhouse and #1 seed Athol Murray College Notre Dame (Wilcox, SK), who had a bye in the Preliminary round, lost to Balmoral Hall School (Winnipeg, MB) to knock them out of the Playoffs. North American Hockey Academy (Stowe, VT), Edge School, Washington Pride, and Balmoral Hall all advanced to the JWHL Semifinals, with Washington and Edge meeting on Championship Sunday. 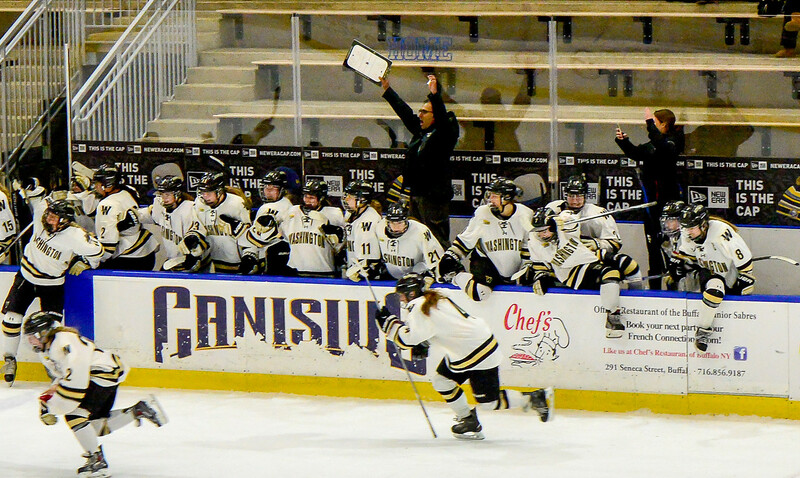 All games were streamed live by the HarborCenter which also is home of the NHL Buffalo Sabres, NWHL Buffalo Beauts and recently hosted the IIHF Women's U18 World Championships in 2015. The 2017 JWHL Playoffs will return to Harbor Center next March.